VERY happy with this purchase, Good price and it arrived a week earlier than expected!!! I appreciate the always excellent customer service with Overstock!!! I always find what I’m looking for and am never disappointed!!!! Pharmapacks is the online health and beauty marketplace dedicated to providing an online shopping experience that is easy, convenient and all at amazing prices. With a wide variety of items ranging from professional hair care and makeup to home medical aids and hard to find favorites, Pharmapacks is a one stop shop for all your daily needs. The leader in personal care. 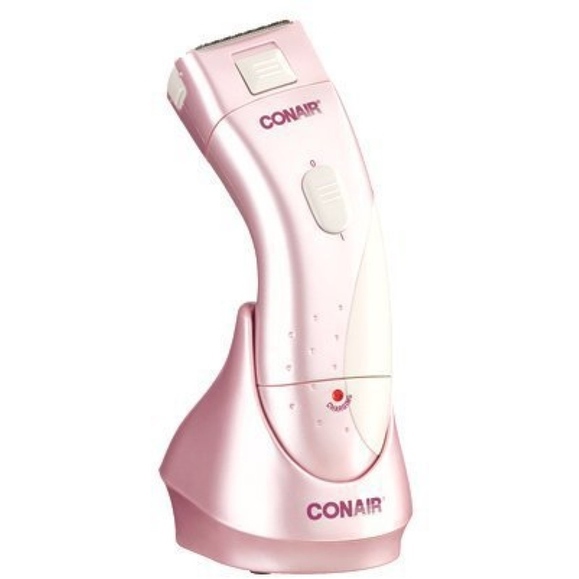 Shaver Conair Corp Uses: Rechargeable, wet/dry shaver. Pop-up bikini trimmer for neat finish. Charging stand and light. Use wet or dry. Twin independent foils and cutters. Two full-size trimmers. Limited 2 year warranty.